The Maremmano horse originated in the Maremma region of Tuscany and Lazio at the time of the ancient Etruscans. From then until the nineteenth century it kept its original characteristics: squat, strong and skittish. Then, in about 1870, it began to be crossed with more lightly-built and docile horses. In the year 1902, the stallion Fauno was born at the Royal Stables at San Rossore, Versilia, in Tuscany. The result of a cross with an English thoroughbred, he was the first of the so-called “new generation”. 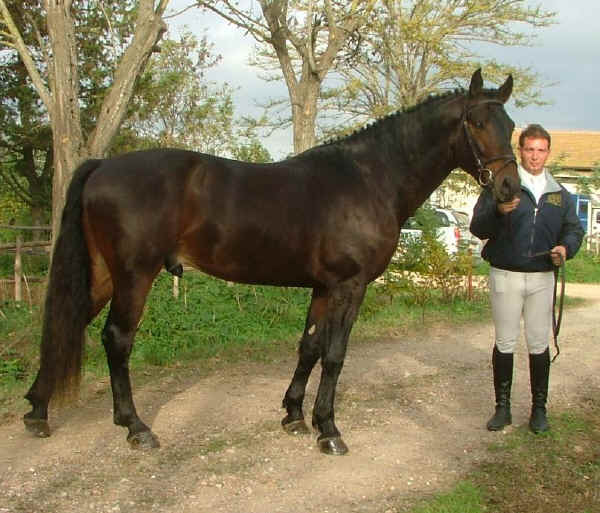 The introduction of the English thoroughbred smoothed out some of the squat, rough characteristics of the original Maremmano, while also increasing its height and its rugged temperament. This is a strong, good-tempered horse, indefatigable and able to stand up to adverse climatic conditions. It can be used as a saddle-horse, but can also adapt itself to a variety of roles. Because of its gentle character, it is a favourite amongst both adults and children as a companion on treks or short rides. The “Associazione Italiana Allevatori Cavallo di razza Maremmana” (Italian Association of Breeders of Maremmano Horses) was the the first organization to to introduce a performance test for evaluating and approving the breeding of mares and stallions.